This is an opportunity to support your school while giving your student an opportunity to win great experiences with your child's teacher. Low cost events like these go a long way in supporting our many wonderful programs that will disappear without fundraisers like this one. Now that we've bought our drawing tickets online, we hope to get participation from each student for this one. Choose the total number of tickets you'd like to buy. Students qualify to enter for 1 free ticket each if requested in writing. If you have more than one child at the school, the total tickets can be divided between each child, allowing you to only make one purchase. 1 student per class can win the priceless prize of being the official Teacher for the Day! This will include teaching the lessons, eating lunch in the teacher's lounge and many other "teacher only" perks with your teacher. 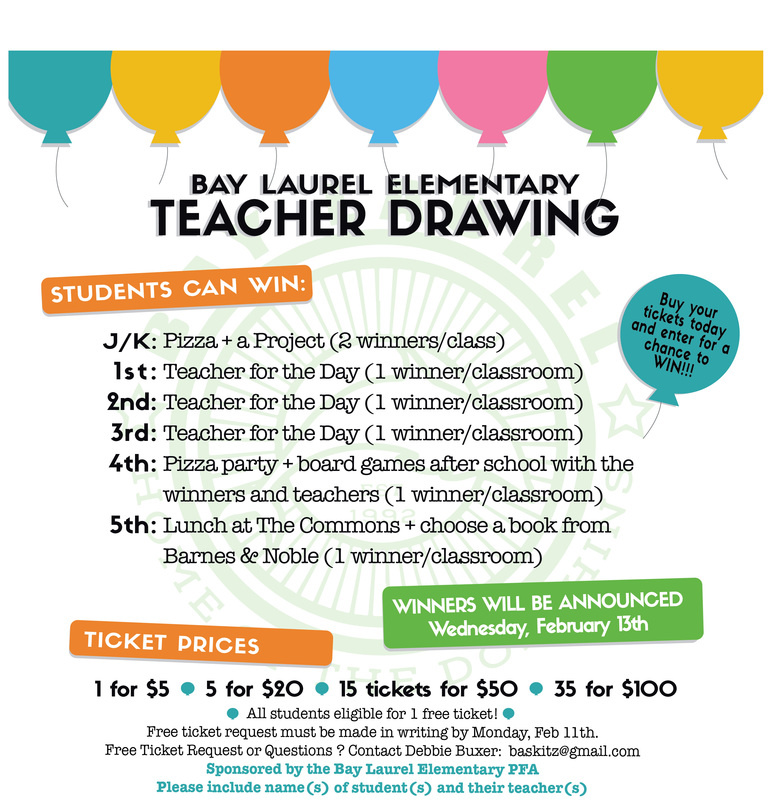 1 student per class can win the priceless prize of getting to join the 4th Grade teachers and other drawing winners for a Pizza Party and board games after school. 1 student per class can win a chance to join their teacher for lunch at The Commons and choose a book from Barnes & Noble.